Pursue a degree or take courses in economics or financial economics. Nationally recognized program characterized by close contact between students and faculty. Regularly scheduled seminars, lectures, and conferences to connect with economics scholars. Jonathan Gruber of MIT Gruber will speak and have a book signing for his new book "Jump-Starting America: How Breakthrough Science Can Revive Economic Growth and the American Dream". He will then participate in a panel discussion about Rochester’s economic potential. Nobel Prize winner Professor Paul Romer, a former assistant professor of economics at the University of Rochester and currently a professor at New York University, will be giving the 53rd annual Gilbert Lecture. The title of his talk will be "What's Preference Got To Do With It". The 2019 McKenzie Lecture will be given by Philip Reny of The University of Chicago . The title of his talk will be "How to Count Citations if You Must". Paul Romer, a former assistant professor of economics at the University of Rochester and currently a professor at New York University, has been named a recipient of this year’s Nobel Prize in Economic Sciences. On September 15, 2018 the Department of Economics and the Bradley Policy Center co-hosted a workshop on the "Dynamics of the US Economy: Challenges Ahead" in the Feldman Ball Room, Frederick Douglas Commons. The conference brought together leading international scholars who have been students, colleagues, and coauthors of Mark Bils as he embarked on his 30th year at Rochester. Bils’s work has focused on how wages and prices respond to the business cycle, and is one of 20 fellows named to the prestigious international organization this year. Interested in hiring a department graduate? See our brochure of current job market candidates or view the list at this location. The Department of Economics is ranked among the top in the nation. In fact, because of our relatively small faculty size, the department ranks among the top five on a per-faculty basis. Rochesters economics PhD programin existence since the 1950swas created in part by Lionel McKenzie, one of the leading economists of the time. Our graduates are prepared for careers in business and government as well as graduate studies in business administration, economics, public policy, law, and more. From saxophonist to student government treasurer, to internships at BASF, SpaceX, and Ernst & Young, C.J. Van Huben has packed a lot into four years. 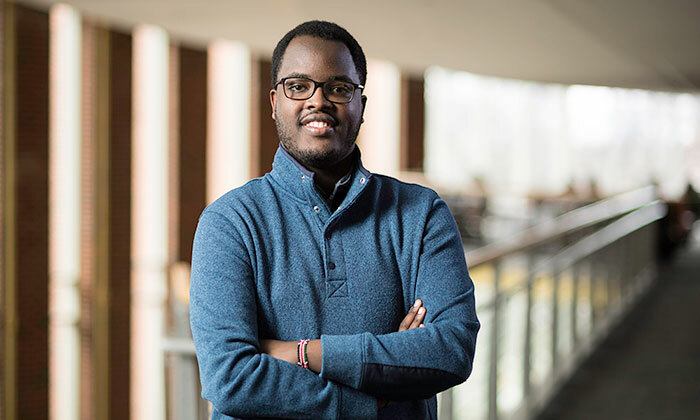 “I had a feeling I knew what I wanted to do, but I didn’t want to be put in a box,” the financial economics major says. 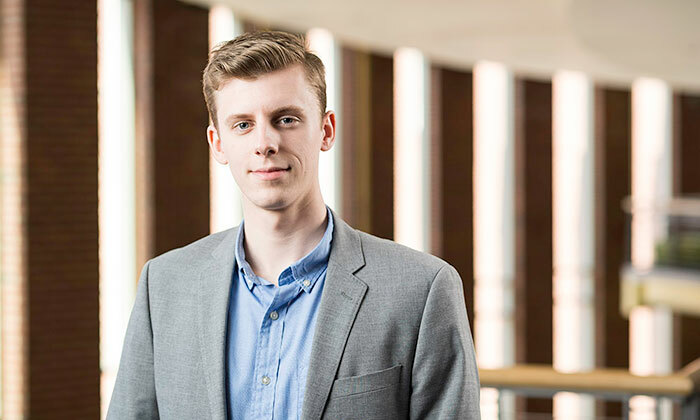 “The open curriculum was perfect for me.” Read more about Van Huben, who is part of a series of profiles celebrating members of Rochester’s Class of 2018. For Ian Manzi, a photo of Rush Rhees Library left behind in an office at his Rwandan high school changed his life. “It looked so beautiful, a representation of college,” he says. Want more information about the Department of Economics? Contact us.